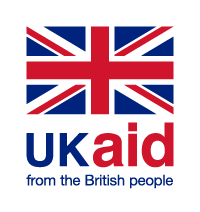 Hay2Timbuktu, which supports development projects in Hay’s twin town of Timbuktu, has received £45,000 from the Department for International Development (DfID) to fund its work. The money will be used to empower and educate young women in Timbuktu and will enable the charity to continue its work keeping girls in schools. The grant will also provide training for 3 girls, previously involved with H2T to receive midwifery training for two years. Hay2Timbuktu work with three schools in Timbuktu to provide classes for girls who would not otherwise have the opportunity to attend school. They have been funding girls to attend schools since 2012 and the new grant will fund 60 girls in schools for the next two years. This will have a major impact on the girls’ potential to be able to work and support themselves and their families in the future. More importantly, attending school means that these girls avoid being married off at too young an age and having to deal with the health risks of pregnancy in early teenage years. “We are delighted to be able to continue this important work with girls in Timbuktu. We’ve followed 50 girls through the schools programme since we initiated it six years ago and we’ve seen them go on to careers in teaching or healthcare, and become independent, empowered young women.